Inspire, educate, and empower communities and visitors to conserve and protect marine environments for the benefit of all. Healthy marine environments on the Bay Islands and thriving communities now and into the future. Since 2005, RMP has protected Roatan’s reefs and ecosystems. 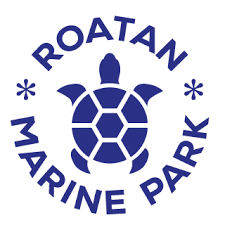 We are a community based, nonprofit organization dedicated to the conservation of Roatan’s protected marine and coastal area including all of its flora, fauna, physical and biological characteristics and phenomena, and historical and cultural resources. Our efforts are accomplished through our broad range of programs and resources, none of which would be possible without the support of our local community, partners, and donors. RMP operates within Roatan’s marine protected area, one of three islands’ MPAs which make up the 650,000 hectare Bay Islands National Marine Park. The national park safeguards a significant portion of the Mesoamerican Reef System, an ecosystem that is extremely vulnerable to climate change and terrestrial pollution. All of our organisation’s efforts are directed at protecting and preserving the increasingly fragile marine ecosystems around Roatan due to sharp increases in the island’s population and tourism in recent years. 2018 IYOR Beach Clean-up : Bay Islands Coastal Clean Up (BICCU) is coordinating beach clean-ups with NGOs and volunteers across the three Islands ( Utila, Guanaja and Roatan), with several locations across Roatan from West to East End. Reef Fest Lectures : Organisations such as Think Beyond Plastic, MAR Alliance, Bay Islands Coral Reef Restoration, Bay Islands Conservation Association Roatan and Go Blue Bay Islands will give lectures regarding marine and coastal protection to a target group of students from a public school (9thgraders from Instituto Oficial Jose Santos Guardiola) from 16:30 – 17:15 pm in West End. Dates: 27th, 30th and 31st of July , also 1st & 2nd August. Speech Contest “A Roatan Reef Plastic-Free” – In both English and Spanish languages, students from public and private schools let their voices be heard as they share their thoughts how to protect the reef, its importance and the role they play on it. 23rd & 24th of August. Prizes for 1st, 2nd & 3rd places in English and Spanish categories.